At Islington Acupuncture we will address your insomnia and poor sleeping patterns, look for underlying causes, and use acupuncture with the aim of improving your sleep quality. Do you suffer one or all of the following? 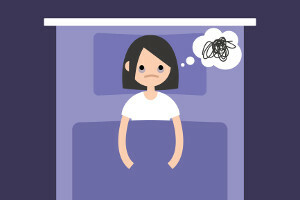 How does acupuncture help with insomnia? Acupuncture is believed to stimulate the nervous system releasing neurochemical messenger molecules promoting physical and emotional well being. Acupuncture can be safely combined with conventional medical treatments for insomnia.